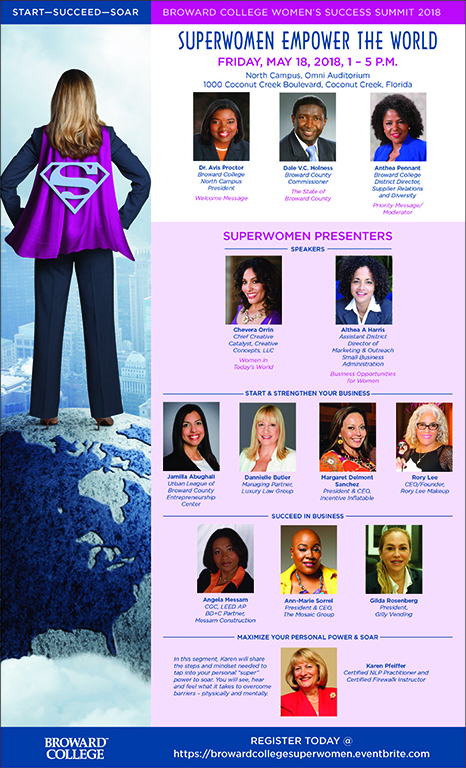 The Broward College Office of Supplier Relations & Diversity hosted the 3rd Annual Women’s Success Summit on May 18th at the North Campus Omni Auditorium to recognize & celebrate the superpower-like qualities that women possess in breaking down barriers in order to build successful businesses. At this exciting event, a diverse group of trailblazing business owners and community leaders shared pragmatic solutions vital to creating an impact in the way women can succeed in the business world. 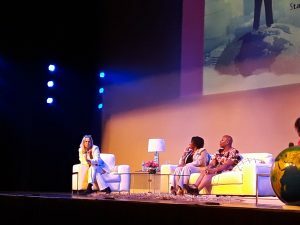 Superwomen empower the world!… and as a Speaker at the packed event, and the founder of the country’s largest woman-owned vending company, Gilda shared her insight on how to succeed at creating a vibrant business. Thanks to events such as the Summit, and the powerful support of Broward College, more and more women and minority business owners are able to reach for and achieve their goals to become successful entrepreneurs. Congratulations to Broward College North Campus President Dr. Avis Proctor and Broward College District Director, Supplier Relations & Diversity Anthea Pennant for producing a dynamic community event!